Curious to know about how piano stool restoration, underwater kickboxing, sugar cookies and the Red Cross are connected? If so, you’ll not want to miss this episode of Should I Start a Podcast. This instalment features a special appearance from Ed Dale – the founder of The Challenge and MagCast, and the author of Your First Dollar. 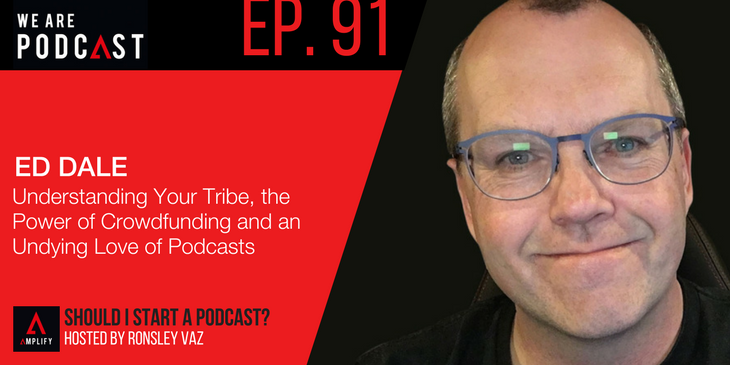 In the episode, Ed talks about permission marketing, sales dynamics, the power of crowdfunding, how to figure out and engage with your audience, and how to package all of this into a podcast. He does so through the aid of various stories about World War II, impromptu trips to Atlanta and his experiences on the front lines of marketing.